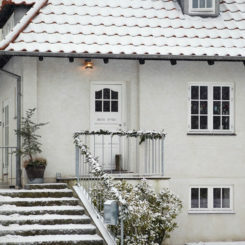 There’s still plenty of time to get everything ready for Christmas but it’s not too early to be looking for ideas of how to make your home look extra charming and festive for the holidays. As always, we’re very excited to be your source of inspiration. 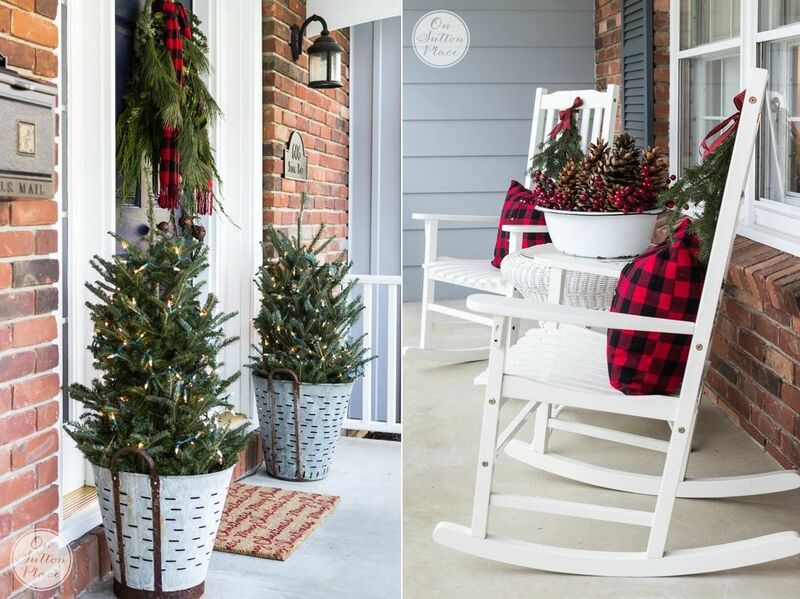 For now we’ve prepared a bunch of Christmas porch decor ideas but be sure to also check out all the cool and adorable ideas for how to decorate the tree and the inside of your home which we’ll be sharing later on. 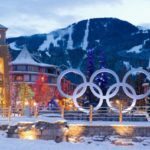 You can use a variety of different decorations to make your porch look festive this Christmas and you can mix and match different ideas to create something truly special. 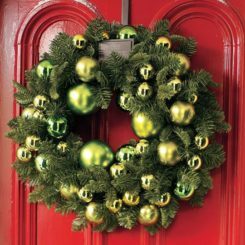 For example, you can hang a wreath on the front door and decorate the sides with Christmas tree templates cut out of plywood. On placeofmytaste we also saw these cute present decorations which look like simple blocks of wood with a bow wrapped around each. 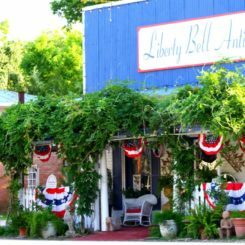 Or perhaps you’d like to decorate your porch in a rustic and welcoming manner using these huge green garlands which can be wrapped around the posts or hanged like in this image. 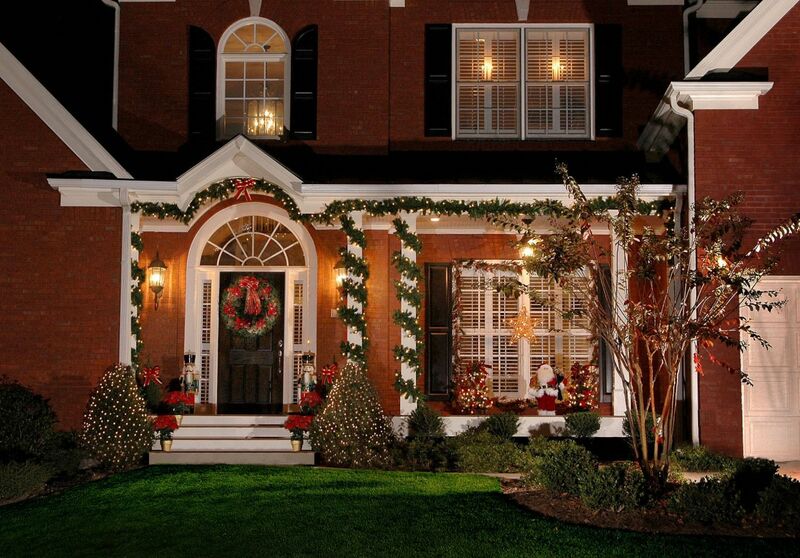 If you want your porch to look magical at night then you definitely need some Christmas lights. 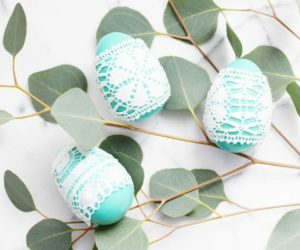 You can have them wrapped around your green garlands or you can decorate the trees and planters with them. 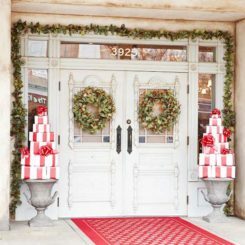 Snowy Christmases are quite magical but you can’t always be sure that it will snow around that time so you might have to rely on faux snow if you want a white Christmas porch decor. sEither way, don’t forget the lights. 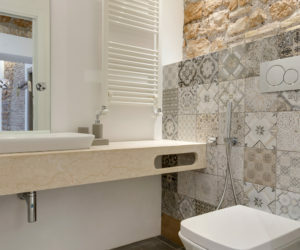 They really bring out the beauty in every decor and they help create a wonderful ambiance. 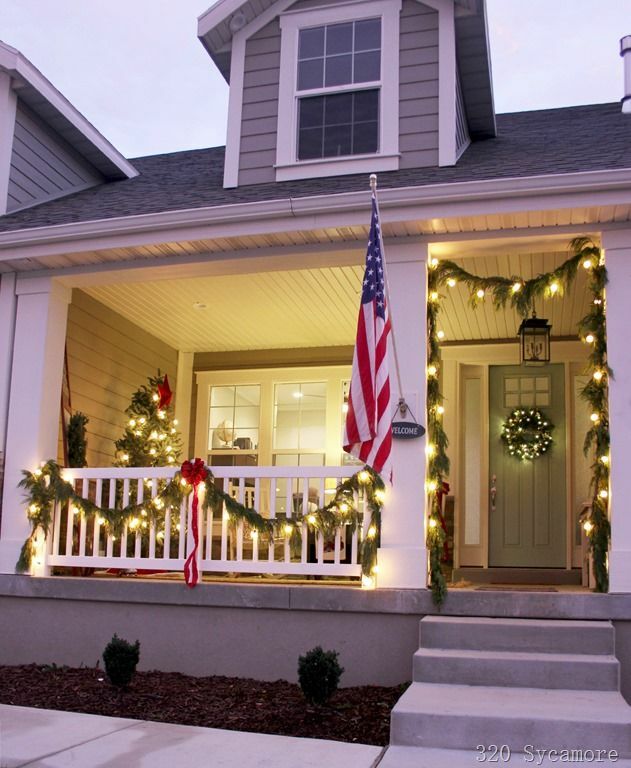 You should check out citrineliving for a few tips on how to light up your porch for Christmas. 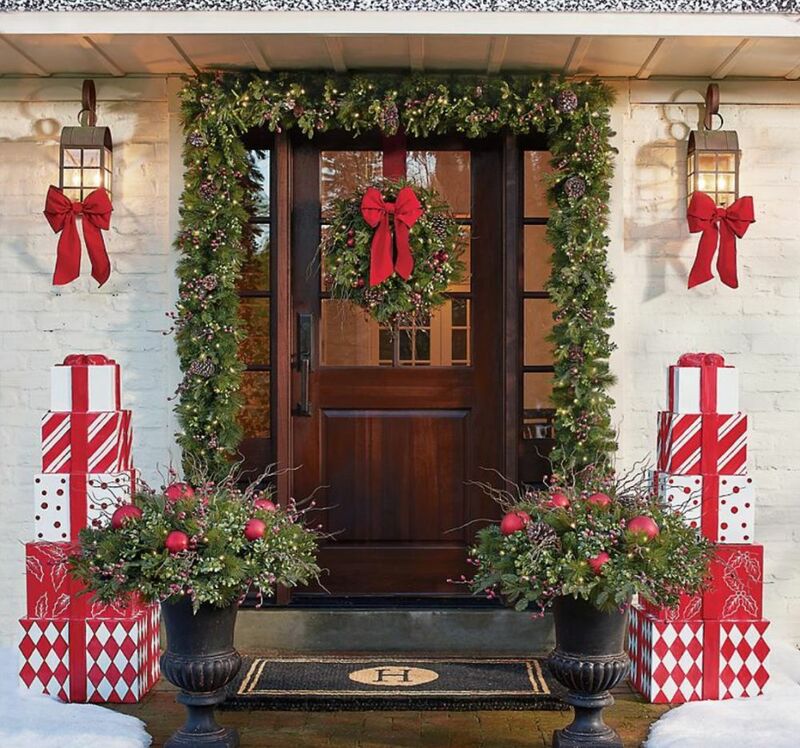 You don’t have to break the bank in order to make your porch look festive for Christmas. 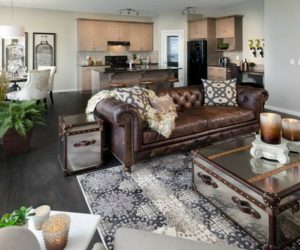 There are a ton of frugal decor ideas that you can use, including the ones featured on onsuttonplace. 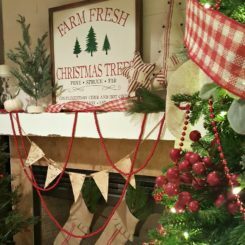 It’s just a matter of bringing the scent of Christmas home using things like conifer branches, pinecones and other similar items. 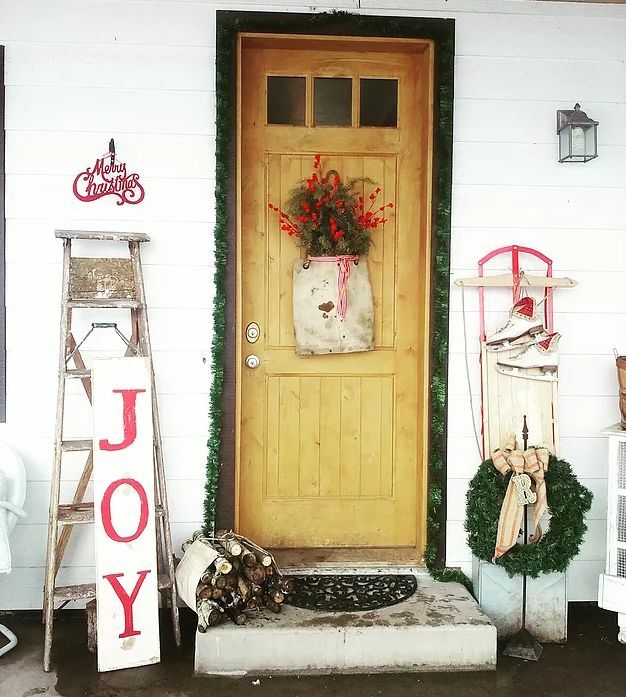 This JOY sign featured on fynesdesigns is a great Christmas decoration idea because it’s easy to make, fun and also reusable. 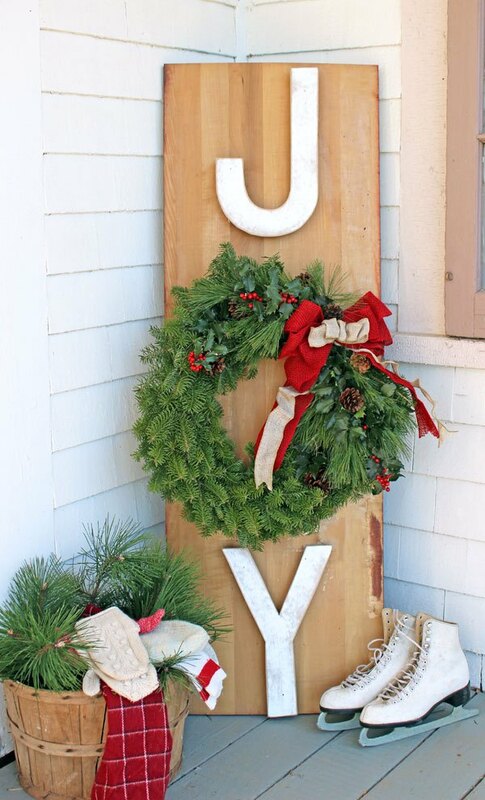 To make it you need a wooden board or a piece of plywood, two letters (a J and a Y), a coat hook and a wreath. 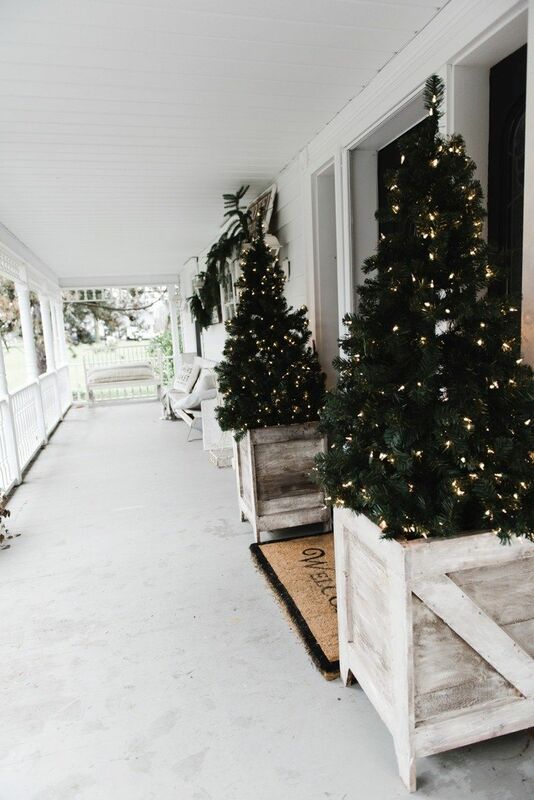 Another idea is to decorate the porch with small Christmas trees. You can put them in these farmhouse-style planter boxes which you can make yourself. You can find details on lizmarieblog. The coolest thing about this project is the fact that you can decorate the trees with string lights, ornaments and all sorts of other things. 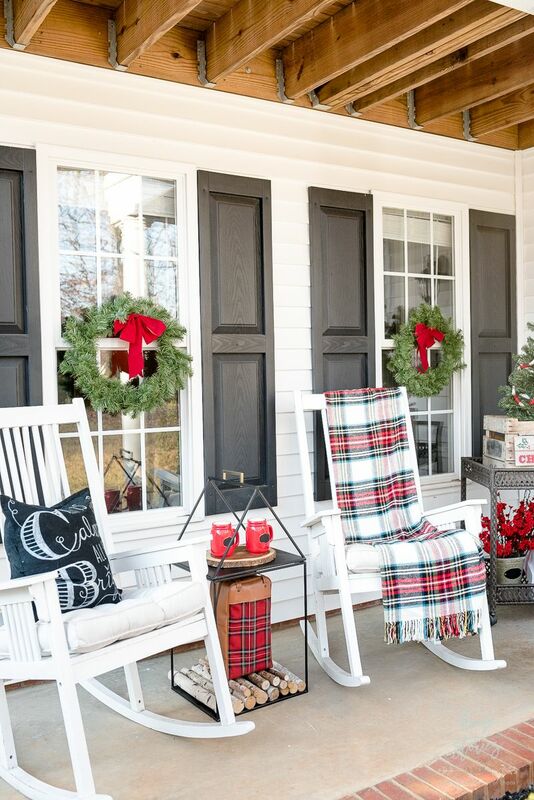 Planning something simple and chic for your Christmas porch decor this year? Consider using greenery. If you already have planters out here just decorate them with some string lights or bows. 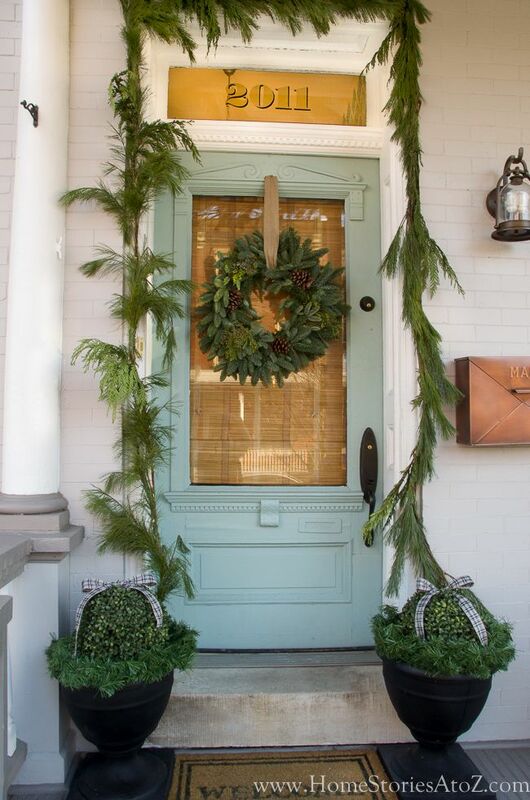 You can also make a garland out of conifer clippings and use it to frame the front door. A wreath can be the centerpiece of the whole setup. 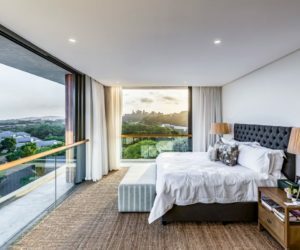 Check out homestoriesatoz for more inspiring ideas. 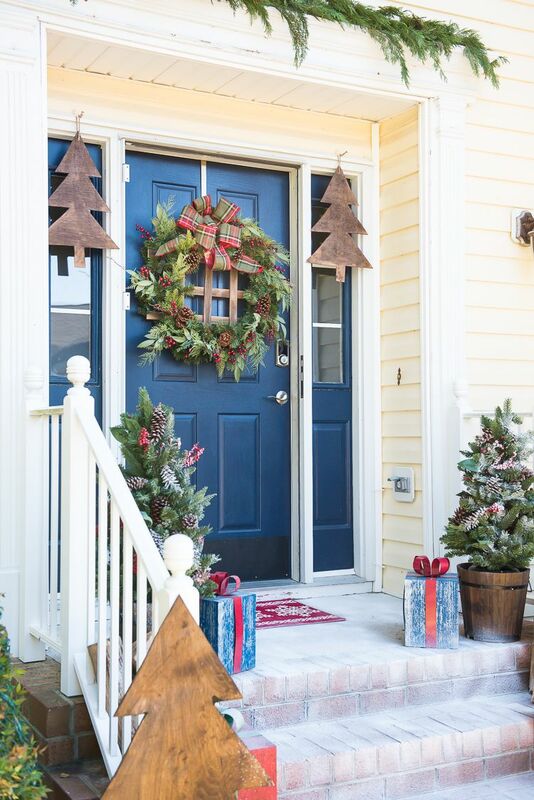 You can keep your Christmas porch decor simple and classy by limiting the colors involved or only two. 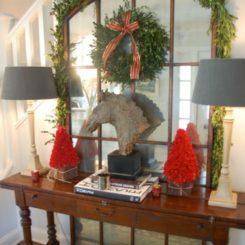 Red and green is a festive combo and if you’re using greenery then all you have to do is add some red ribbon. Obviously, not everything has to be either red or green but these should be the primary accent colors for your Christmas porch decor. There are plenty of ways to make that happen. 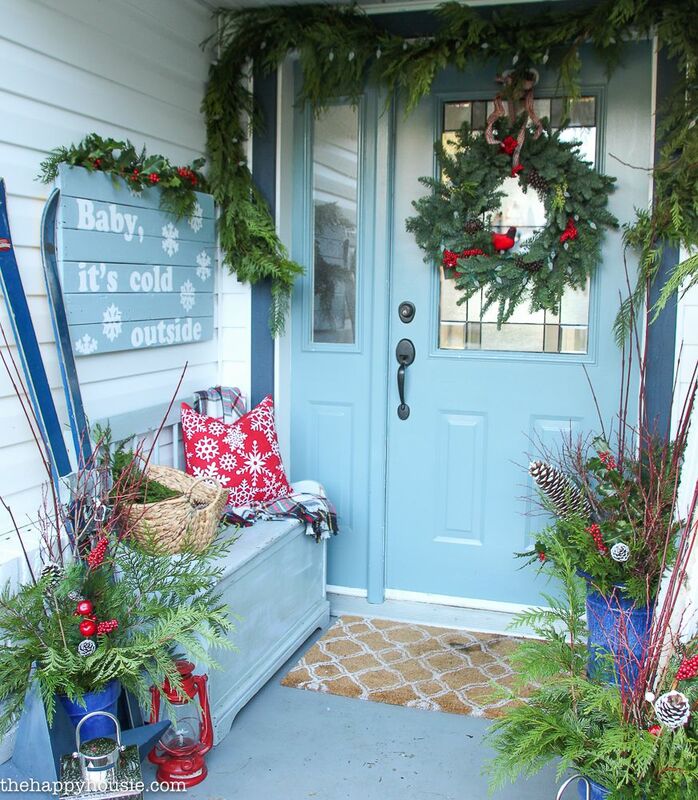 Look for ways to incorporate the colors you’ve chosen for your Christmas porch decor in a way that also makes the space feel cozy and comfortable. 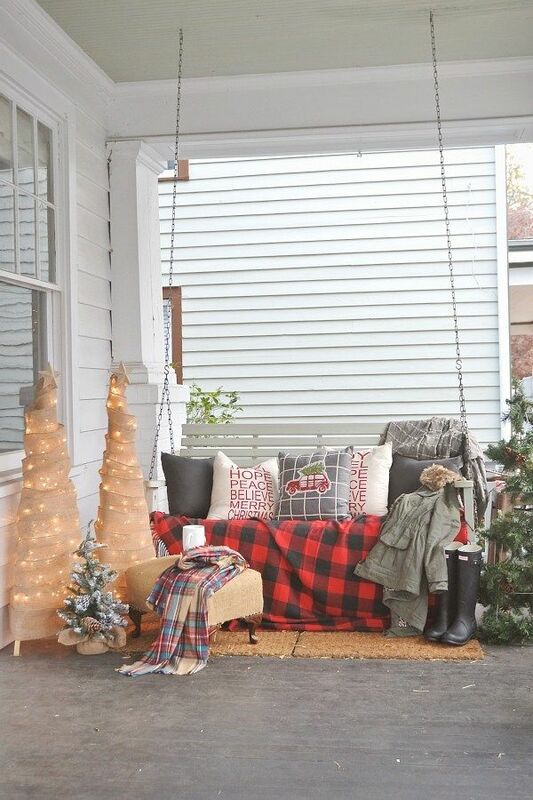 For example, if you have some chairs on the porch, maybe you could add accent pillows or blankets. The red and green combo is classic and very Christmassy which means you shouldn’t have any problems finding decorations and ornaments to suit this color theme. 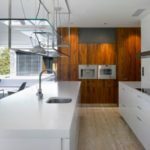 We found quite a few inspiring ideas on homestoriesatoz. 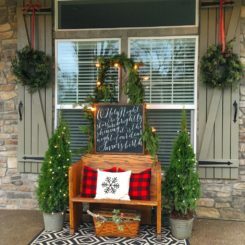 If you want to go all out with your Christmas porch decor this year, perhaps you could find some inspiration on cottageintheoaks. There’s a lot going on here but the decor is not chaotic but rather cohesive and harmonious. 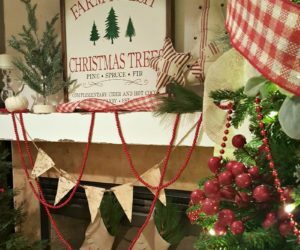 Aren’t these burlap Christmas tree decorations just charming? They look awesome on this rustic porch and we imagine they’d look just as lovely indoors. 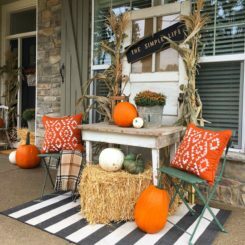 You can make something similar for your own porch. 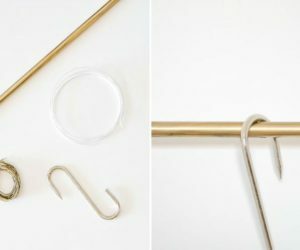 Set up a tripod frame using wood rods, wrap string lights from top to bottom, cover everything with burlap strips and add a star at the top. The idea comes from lizmarieblog. 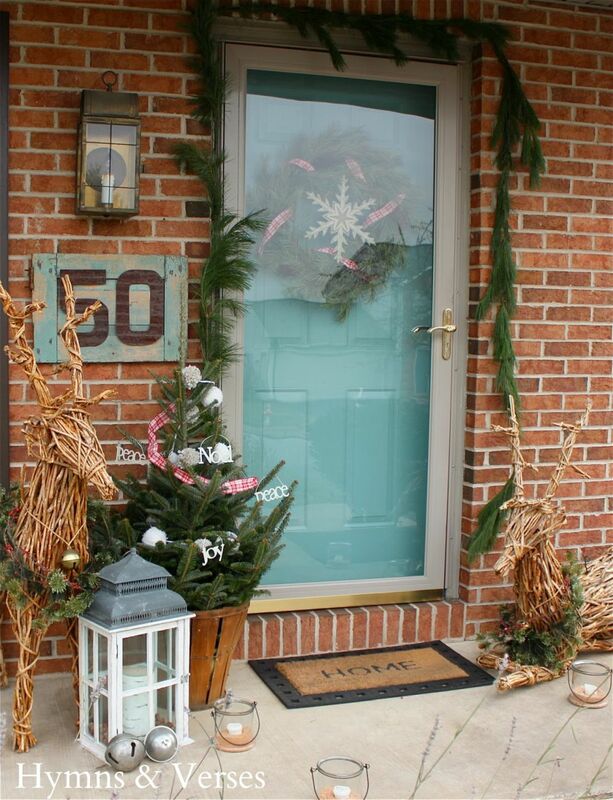 These friendly reindeer ornaments greet guests and give the porch a very cute look. They’re not the only decorations. 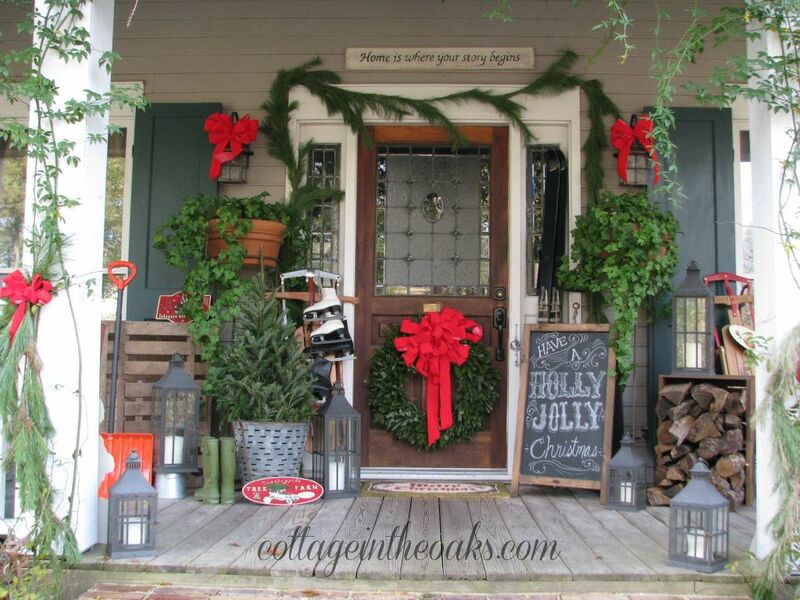 Check out that rustic lantern and the wreath which is actually on the inner side of the glass door. You can find details on hymnsandverses. 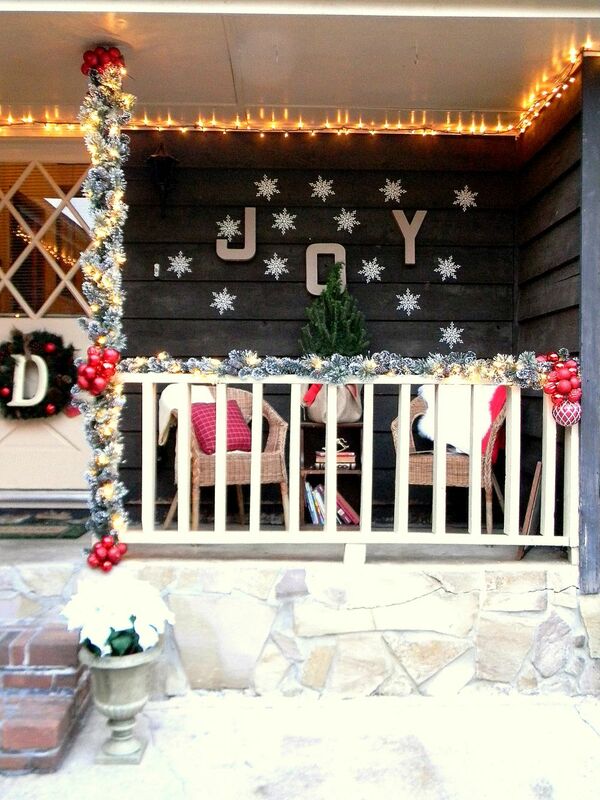 A covered porch with railings is super fun to decorate. You can turn it into a cozy extension of the living room. You can put up a Christmas tree out here, decorate the railings with garlands and string lights, hang a wreath on the front door and put some comfortable chairs out here too so you can sit down and enjoy the magic. 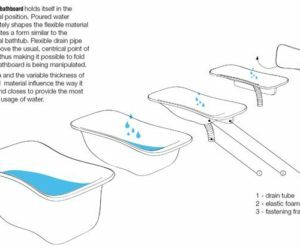 Find out more about this project on 320sycamoreblog. 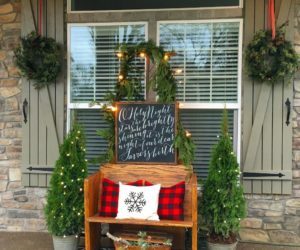 We really liked that JOY sign we showed you a bit earlier so we decided to look for awesome ways to incorporate the idea into a festive Christmas porch decor. 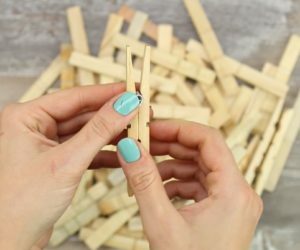 One of the ideas came from lizmarieblog. 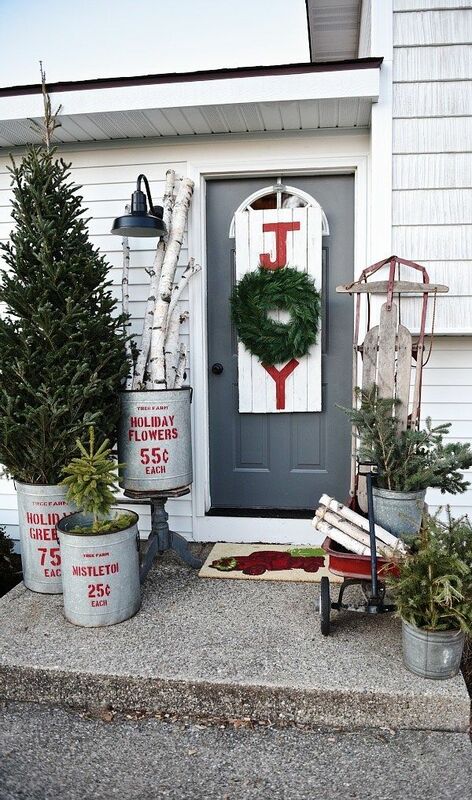 That’s where we also found this idea of using buckets filled with seasonal greenery to make the porch look festive. 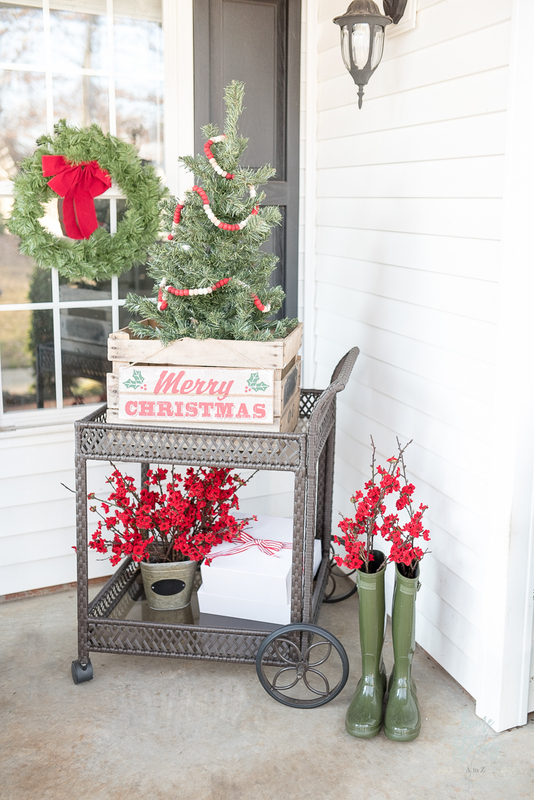 Another joyful Christmas porch decor idea comes from the homedepot blog. We love the look of these white snowflakes against the dark background. The string lights also look great up there, highlighting both the walls and the roof. 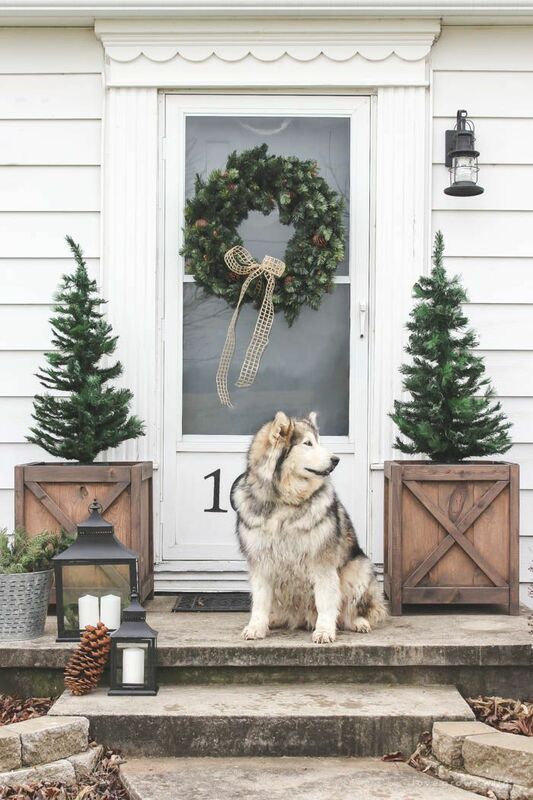 Of course, you don’t have to incorporate string lights or any of the colorful Christmas ornaments into your porch decor if you don’t want to. A simple decor like the one featured on lovegrowswild can look super charming too. 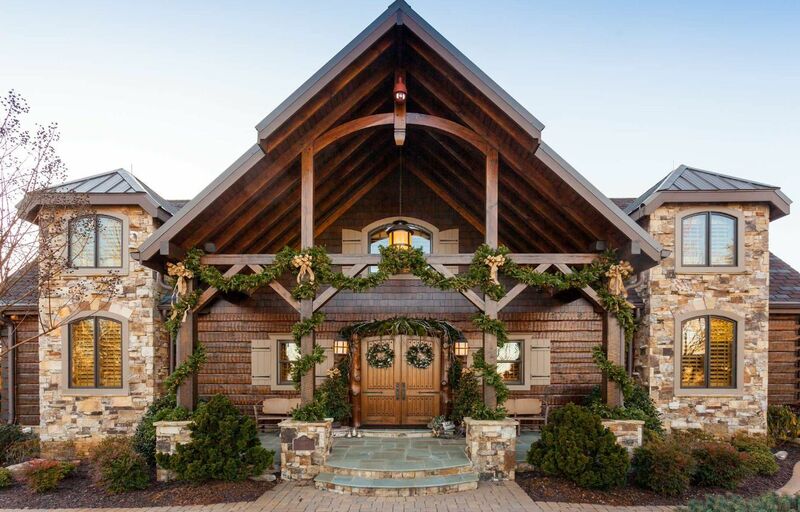 We love those huge pinecones and the candle lanterns. 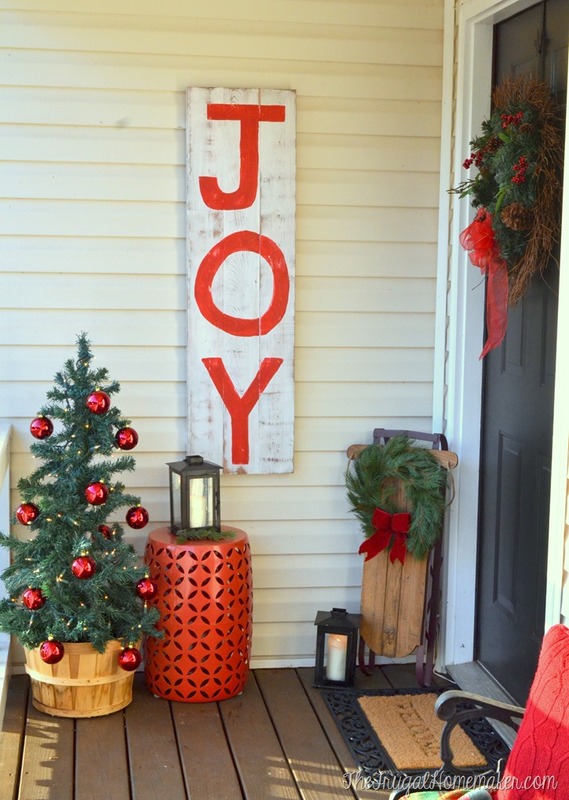 Making a JOY sign to display on the porch around Christmas is easier than you think. 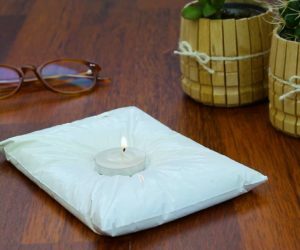 If you have some leftover wood from other DIY projects you can now put it to good use. Paint the wood white and then use a small brush and red paint to add the three letters. You can use stencils or just freehand the design. 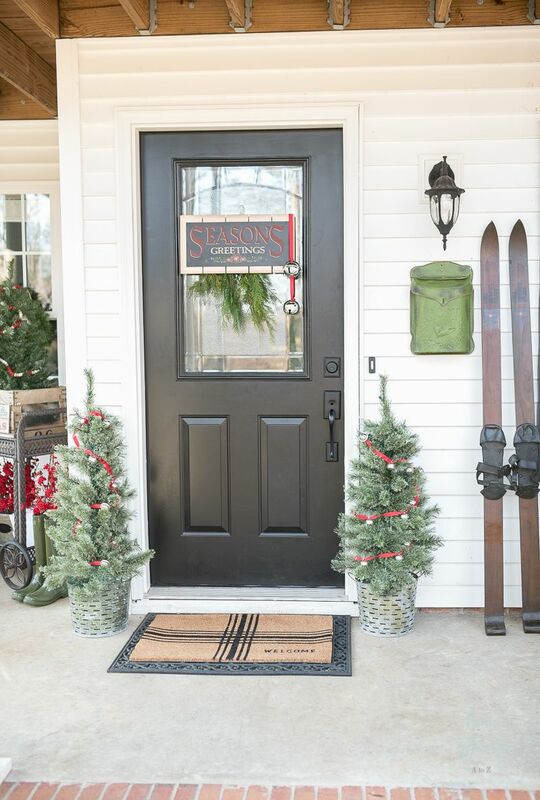 This sign is only one of the beautiful decorations featured on thefrugalhomemaker. 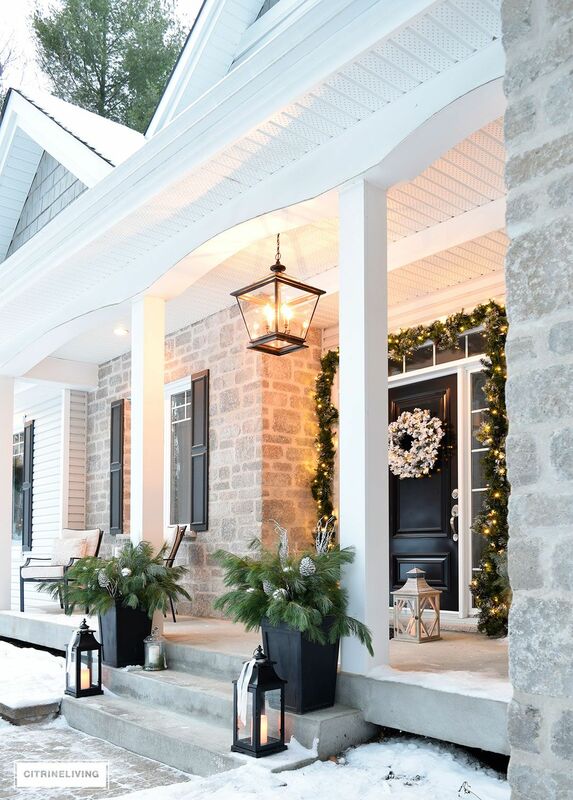 Symmetrical decors make spaces look particularly inviting and you can use that to your advantage when decorating the porch. It helps to have the space for just a setup. 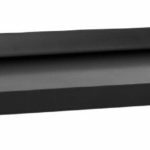 Check out grandinroad for inspiration. 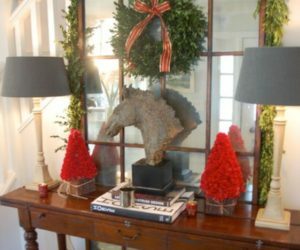 There are all sorts of ways to be original in your Christmas porch decor even when you’re using ideas found in other sources. 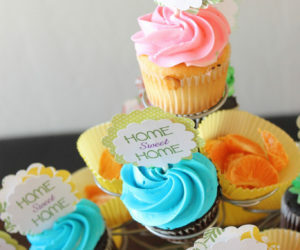 Also use the items already at your disposal to personalize the decor. We think this decor featured on theprairiesisters is a great example in this case. 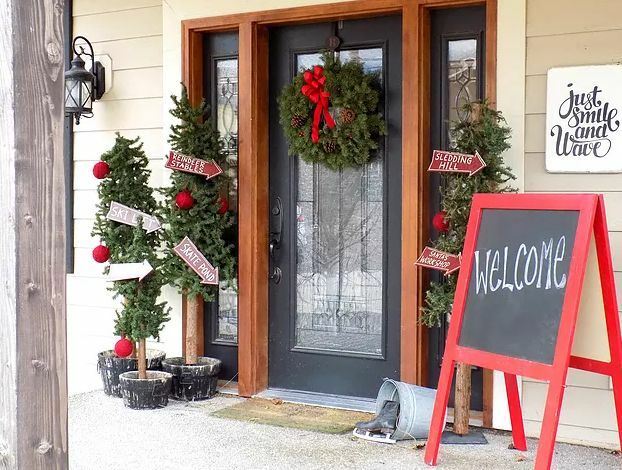 In addition to all the typical Christmas decorations you display on your porch you can also add a blackboard sign on which you can write a cheerful message or simply “welcome”. You can reuse this sign on other occasions. The idea comes from theprairiesisters. 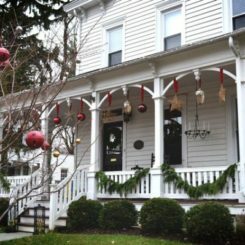 Even if you have a small porch you can still use all sorts of different decorations to make it look cheerful and festive. 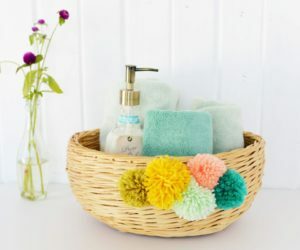 You can bring out some winter-themed items like accent pillows and cozy blankets or a pair or skis and you can also add special decorations like wreaths and buckets or vases filled with greenery. 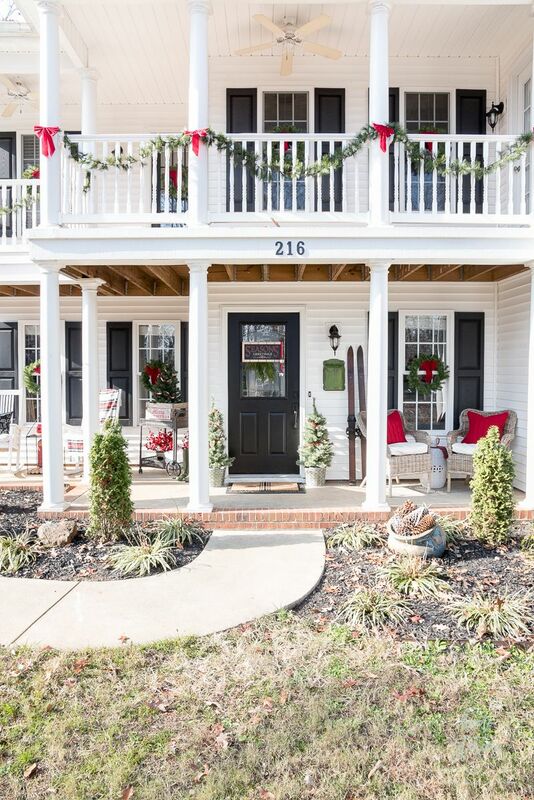 We absolutely love how charming this Christmas porch featured on thehappyhousie looks. Don’t you?